Valid for dine in only, take away is not available during the promotion. Prices before good and service tax are subject to 10% of Service Charge. Strictly for 2017 Sushi King card member only. Applicable to selected food and beverage items only. Only Sushi, Tsunami, Miso Soup and canned drinks are available at RM3.18. One card admits a maximum of up to 6 persons. Incomplete parties will not be seated, reservation are not allowed. Maximum 45 minutes per dining session. Leftover will be charged at normal price. 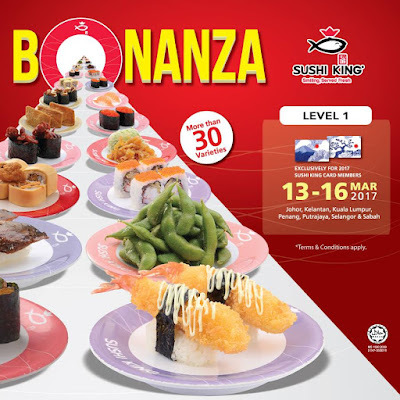 All voucher are not accepted during this promotion, except the Sushi King RM10 cash voucher. 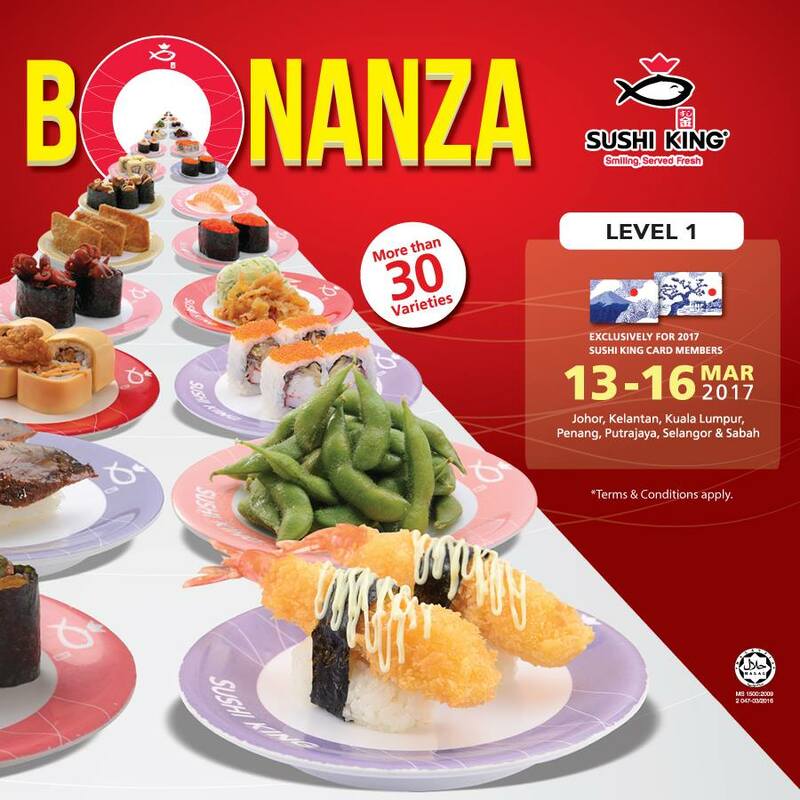 Valid at all Sushi King outlets except Sushi King Express.